I think almost every beauty addict know about Naked 2 Eyeshadow palette from Urban Decay. 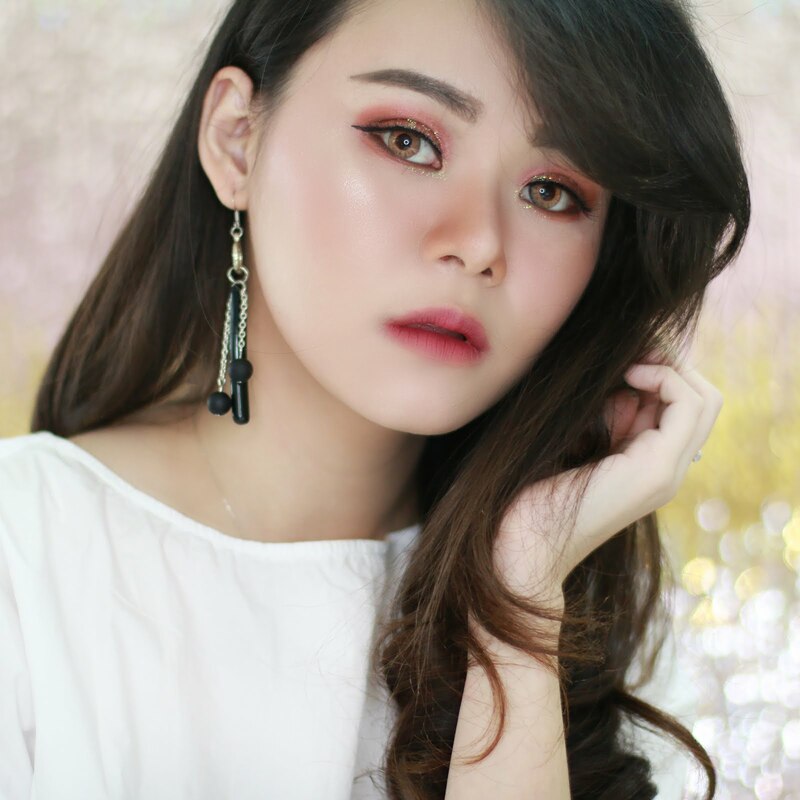 I am a newbie in beauty addict... I know about Urban Decay product recently and I am falling in love with Naked palette. I ask from one of my friends who is at Singapore that time to bought me one of Naked 2... But it's sold island wide at Singapore, can't believe it, so he take original Naked palette for me. I loved it so much so i decide to find Naked 2. But Indonesia don't have any Sephora and they can't shipped to here *You can buy it online at beautybay actually* so I browse through Instagram and i found out that there is a fake Naked 2. Its only around 200.000 IDR *around 10 USD*, is cheap so i take one and I can't use it at all... why?? This is how it's looks like from the packaging. Not like another review talk about fake Naked 2, this one come with lip junkie just like the original one. The fake one box has more golden brown color compare to the original one which has warm brown color, and the packaging of the fake one is more like brown pink tone color while the original one come with same color like the box but much more lighter color. 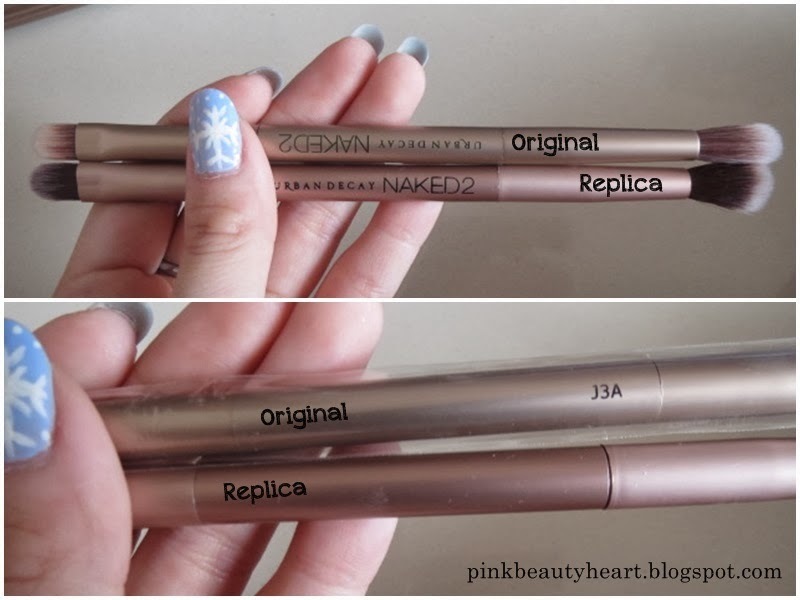 Picture on top is some information you can use to differentiate fake Naked 2 from the packaging. This is how its looks like inside... I mark some color which is physically looks really different compare to the original one. Maybe it is not really clear in photo but the original one has compact eyeshadow while on the fake one looks like they have pore.. especially after you use it. This is how its looks like in detail, I am sorry to forget pistol and foxy is disappear on my skin color but overall you can see that the fake one has strange color. It is shimmery in wrong way. Fake Naked 2 is really chalky and it has some kind of texture on your eyes and expose your wrinkles more than you expect. It makes you looks like you have a lot of wrinkles while you are not *weird shimmery*. As you can see from the picture, if we match the brush based on their type, Urban Decay Naked 2 label face different direction. That is my review about Fake Naked 2 Palette. It is not really bad but the big problem is they are really chalky and has bad texture on your eye while eyeshadow suppose to be don't have any texture. About the color, yeah it's not bad but its have weird shimmery color and if you can find and effort the real one, you better take the real one. But if you are not really into make up things, it is okay to take the fake one but we don't know about the ingredients so be careful for them who have sensitive skin. I believe there is more than one type of fake Naked 2 Palette cause in others review I found different review. 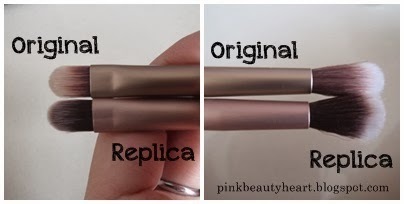 Some review presents that fake Naked 2 has 3 hole inside the packaging near hinge area *check Vicky Hoang Review here* but mine has 2 hole just like the original one. 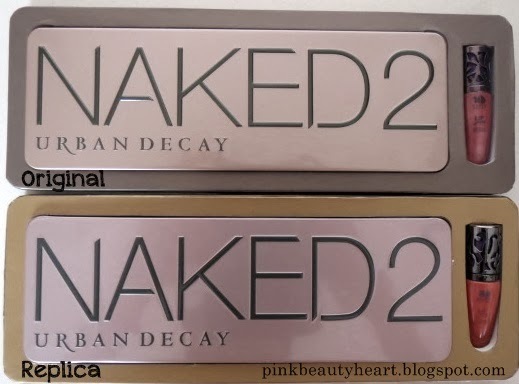 Also my fake Naked 2 physically looks a like with the original one cause it is come with clear packaging and lip junkie. I hope my review can be useful for you guys, especially for they who lives in Indonesia. If you like my review please follow my blog. If you find another review about fake Naked 2 from another site or your own experience please leave comment bellow. 4 komentar on "Original Naked 2 Palette From Urban Decay vs The Fake One"
Yeah.. Fake one smells like cheap makeup... You should make sure about that. Fake make up is not good especially for Eyes. There is so many fake Make up right now.